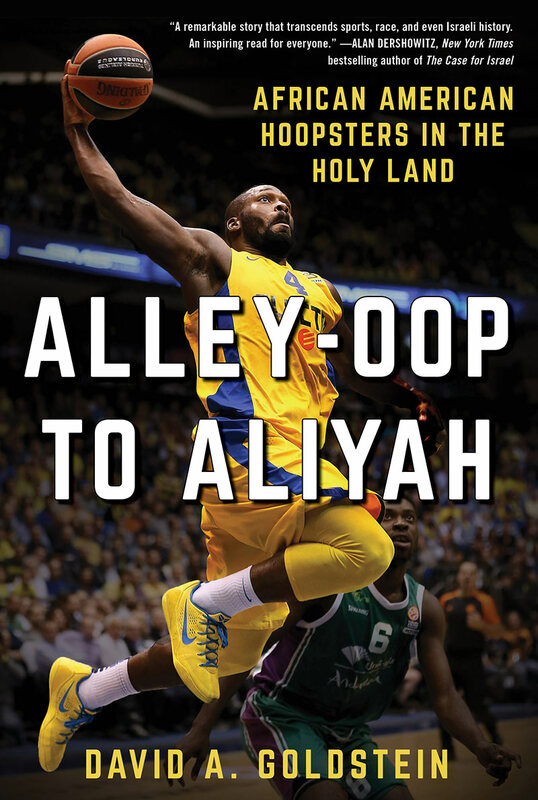 Author David A. Goldstein will explore the fascinating phenomenon of African American basketball players in Israel, as described in Alley-Oop to Aliyah: African American Hoopsters in the Holy Land. In the past four decades, more than eight hundred players have made the journey, many of whom have fallen in love with the country and chosen to return year after year. Some were born Jewish and others converted to Judaism during their time in Israel. Some married Israeli women, served in the Israel Defense Forces, raised Israeli children, and stayed in the country permanently. David A. Goldstein is a journalist and sports executive based in Toronto. He is the chief operating officer of U SPORTS (the national governing body of university sports in Canada), an adjunct professor of sports law at the University of Toronto, and a lecturer at Osgoode Hall Law School. A graduate of the Medill School of Journalism at Northwestern University, Goldstein profiled NBA players for more than a decade for the Cincinnati Enquirer. Co-presented by the Jewish Sports Hall of Fame of Northern California. Program made possible, in part, by Elizabeth Storz-Andrews.